Launched in January 2019, the Dixon is a new Autograph Collection Hotel taking pride of place beside Tower Bridge, in one of London’s most notable cultural and historic areas. The building was designed by John Dixon Butler and was formally the home of Old Tower Bridge Magistrate’s Court; to become the Dixon hotel, the building's original features were reinstated, and it has been transformed with a contemporary twist. 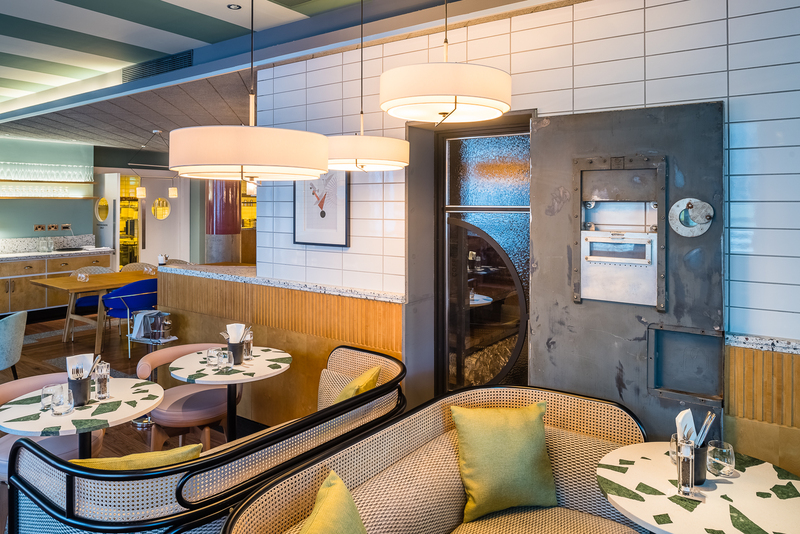 On the ground floor, a restaurant and bar concept – called 'Provisioners' – has been created by Clive Watson to work in partnership with the boutique hotel beside it. Also opened in January, Provisioners is a latest project by Watson, who is known for previous projects including London foodie favourite, Riding House Café. Modern European design and British industrial designers were key influences for the creation of Provisioners; specifically, the interiors were inspired by modern design movements, and what a designer’s studio or home might look like if visitors were allowed inside. In fact, British industrial designer Sir Kenneth Grange has given his kind permission for some of his work to hang in the restaurant. 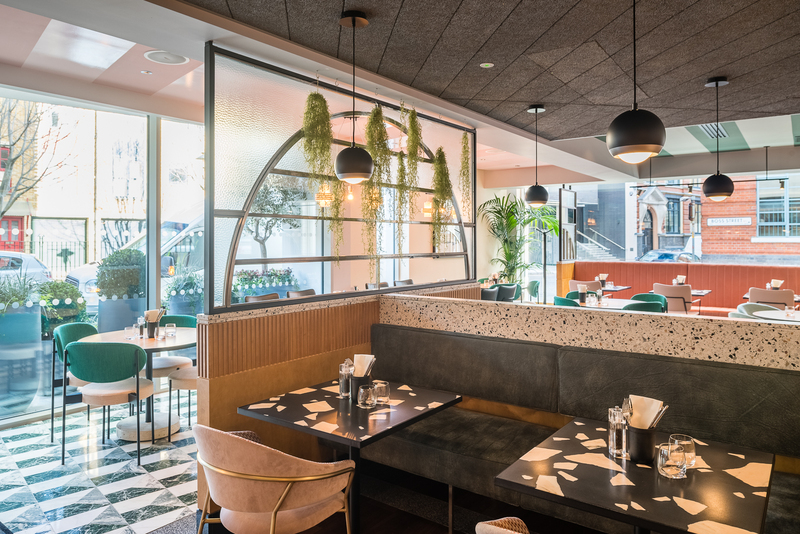 Provisioners also takes reference from the area surrounding Tower Bridge, highlighting its cultural heritage; this mix of modern design with contemporary finishes has ensured that the restaurant is a stylish space that is welcoming and relaxed. Provisioners also makes a nod to European café culture and the Bauhaus era, proving that functional design can be worked seemlessly into the hospitality industry – and have a positive effect. As well as the new contemporary touches, Provisioners retains the historical elements of the original courthouse building that it is set beside. Previously, the site the restaurant has been built on was the yard that held the cells for the Tower Bridge Magistrate’s Court and Police Station; in the centre of the restaurant, visitors will still find two of the original cells, reminding them of the history of the space they are dining in. Provisioners’ interiors are colourful and bright, which work in contrast to the Dixon’s cool marbles and neutral colours to differentiate the two spaces. 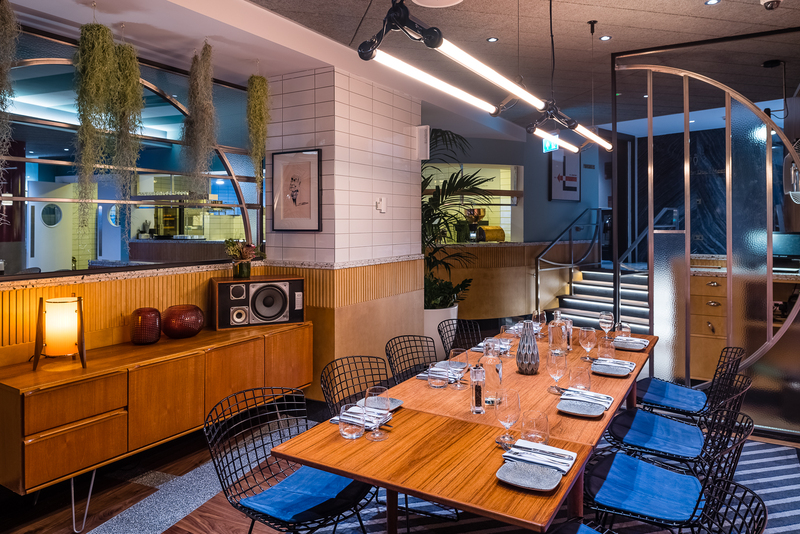 With its own entrance on Queen Elizabeth Street, Provisioners takes a step away from the Dixon to stand on its own feet, inviting guests to come in from both the hotel and the street outside. 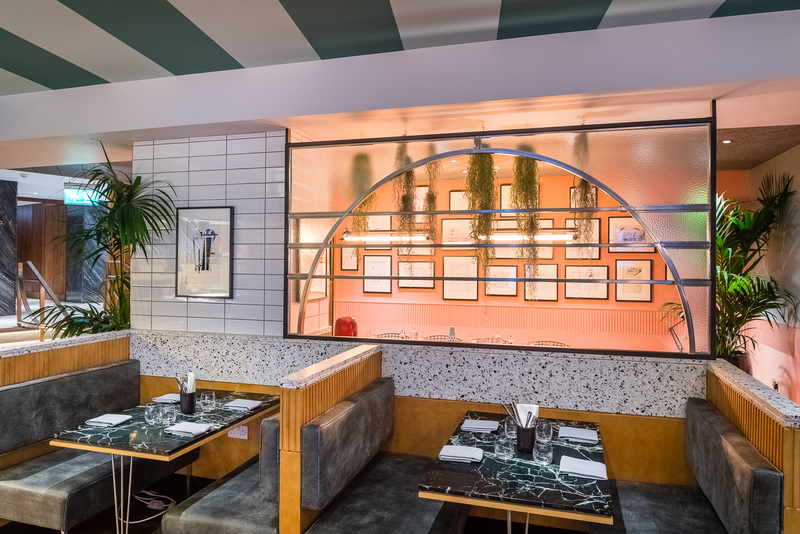 The artwork and furnishings within the restaurant have been carefully selected to echo elements of a designer’s studio, including the various collections of seating – ranging from leather booths to velvet dining chairs and wicker-backed sofas – and the bespoke terrazzo tables, supplied by Petite Friture. Underfoot, guests will find either a marble-tiled or wooden floor, while overhead the ceiling either features white-and-green or white-and-pink striping. However, there is something that ties the restaurant’s variety of furnishings and finishes together to create a sense of cohesion within the interior: the lively, welcoming atmosphere. Bubbling with personality at every turn, Provisioners’ design acts to complement the all-day menu, which incorporates European influences and continues the restaurant's uncomplicated, European café culture theme. Watson has worked closely with Provisioners’ head chef, Lerrico Messina, to create a varied, fresh menu that can be enjoyed at any time of day, or into the evening. 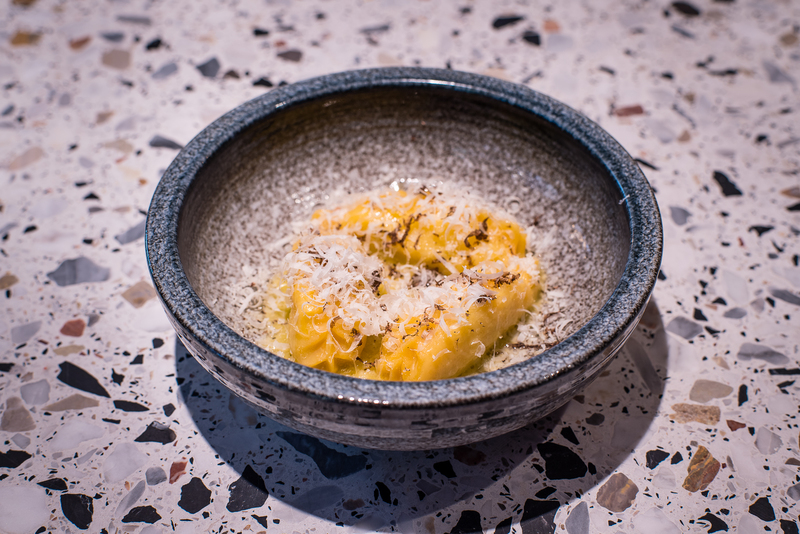 Lunch and dinner mains include vibrant starters such as ‘Culurgiones’ (Sardinian dumplings), hearty mains including ‘Duck Three Ways’, and nostalgic desserts like ‘Sticky Sponge Pudding’, a contemporary twist on the traditional classic. Those looking for drinks can find them in Provisoners’ adjoining café, which continues in the same style as the restaurant and projects a chic Italian vibe. Here, visitors can try the restaurant’s signature coffee blend, ‘Shakedown Coffee’. Those looking for stronger drinks or an aperitif before dinner might choose to walk across the Dixon into the ‘Courtroom Bar'; set within the original Magistrate’s Courtroom, the space now includes a marble-clad bar that lies underneath the judge’s original oak canopy.